Seeking to improve India’s ranking on ease of doing business index, the government is mulling an ordinance which provides for time-bound settlement of commercial disputes and make arbitrators accountable, a senior government functionary has said. The government plans to bring the ordinance based on a bill cleared by Lok Sabha during the monsoon session. As it is pending in Rajya Sabha and may get cleared in Nov 18 or Dec 18 during the winter session, the government has planned the ordinance as it feels that an early measure to settle commercial disputes at a faster pace will help improve India’s ranking on ease of doing business index, the functionary explained. The draft law provides for a time-bound settlement of disputes as well as accountability of the arbitrator. The government feels that there is a need for robust mechanism to deal with institutional disputes. The amendments to the Arbitration Act will facilitate achieving the goal of improving institutional arbitration by establishing an independent body to lay down standards, make arbitration process more friendly, cost-effective and ensure timely disposal of arbitration cases. It provides for setting up of an independent body – Arbitration Council of India (ACI), which will frame arbitral institution and accredit arbitrators by laying down norms. The ACI will frame proper rules as to how institutions would be graded, norms to be followed, monitoring of quality and performance, and encourage training of arbitrators. ‘Asian Insights’ provides perspective and commentary based on developments around the region on a weekly basis. To continue reading, please procure a subscription. Singapore’s housing dilemma: What are the broader implications? 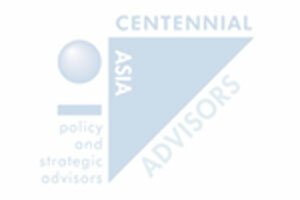 Copyright © 2012-2019 Centennial Asia Advisors. All rights reserved.